Covering vitiligo is the simplest way to avoid social kind of troubles. 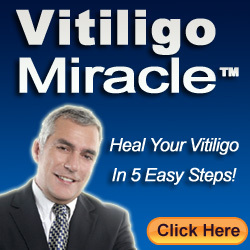 This video shows how to cover vitiligo with the available creams and other products available. Here a lotion is used that is found effective in forming a perfect layer resembling the natural skin of human. These lotions utilised in the video can expose effect when they get dried. The white patches don’t get pigmentation or it is not a treatment procedure but just to hide the patches. The lotion to be applied need not be used in excess as a small amount of it is strong enough to do the covering.